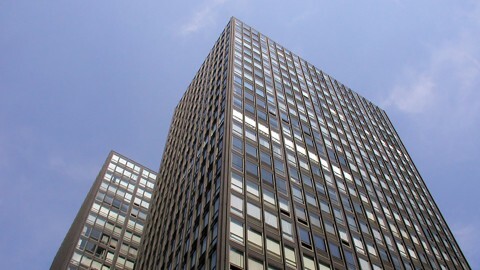 But when you drive north on Lake Shore Drive, just before the first westward curve, you’ll encounter two towers that helped define Chicago as a leader in Mid-Century Modern architecture: 860-880 Lake Shore Drive. In 1957, the buildings were called “masterpieces” when they were featured in LIFE magazine. 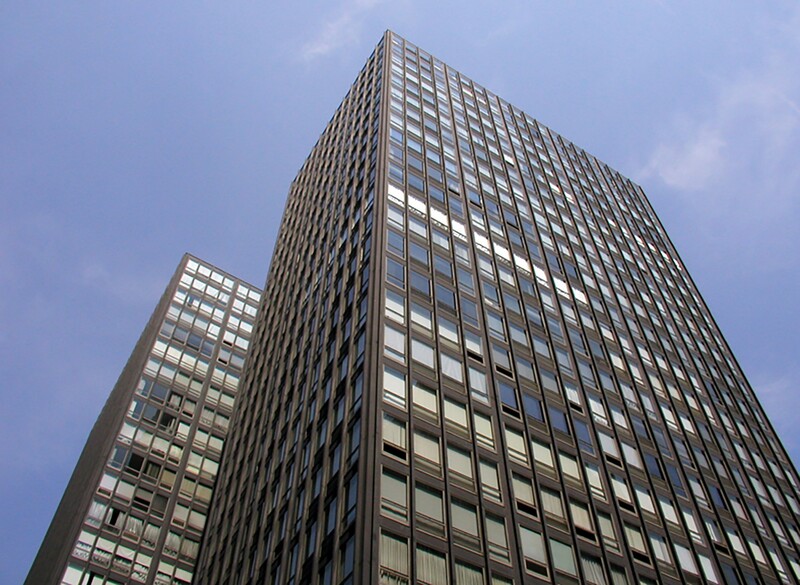 In 1996, the towers became the first buildings designed by Mies van der Rohe to receive Chicago Landmark status. 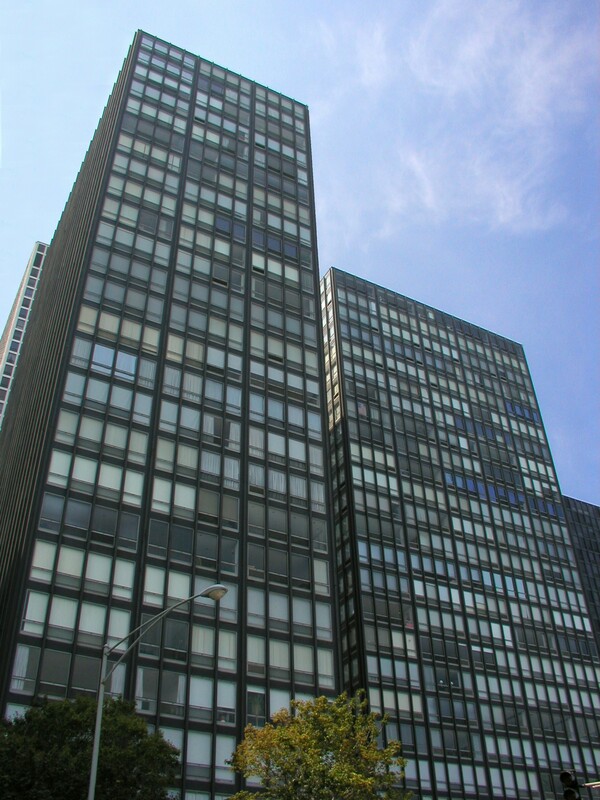 Ludwig Mies van der Rohe capitalized on the post-World War II availability of steel and concrete in 1949 to create two 26-story apartment towers. 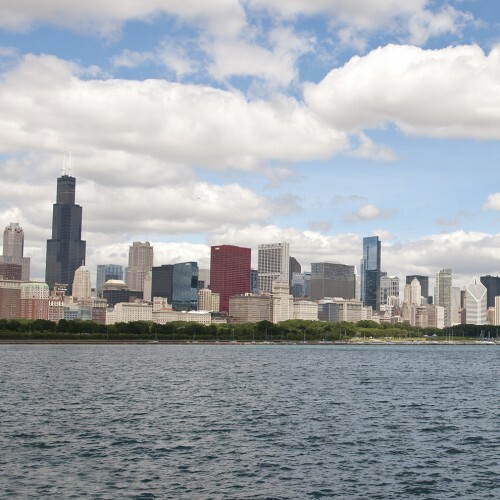 He called their design aesthetic "skin and bones.” The two towers are set at right angles on a trapezoidal site to maximize views of Lake Michigan. They almost seem to hover above their travertine plaza and are connected by a single canopy. 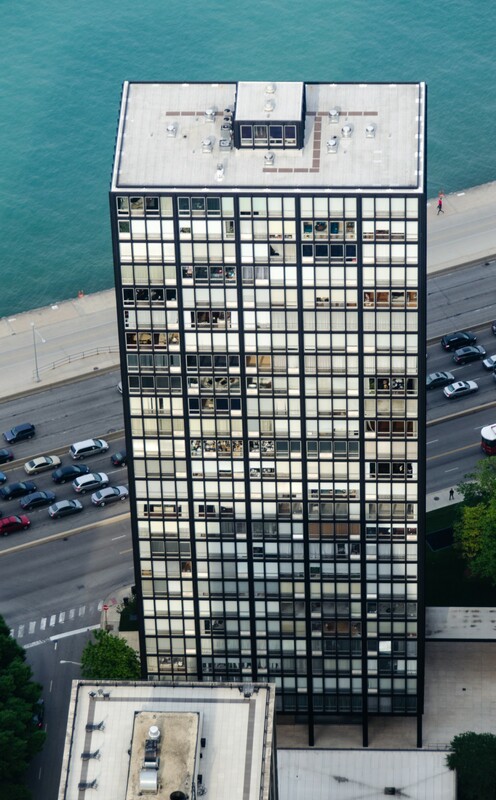 Mies’ “less is more” maxim is displayed in the structures’ austere, steel exterior—painted Detroit Graphite black—and rhythmic window bays. 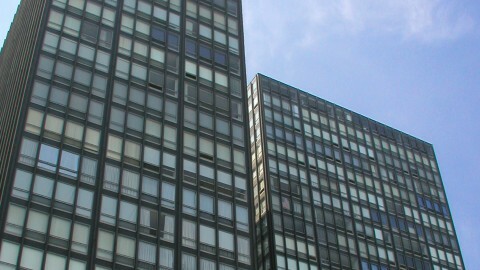 The pair incorporates several common features of Mies’ Mid-Century Modern design. 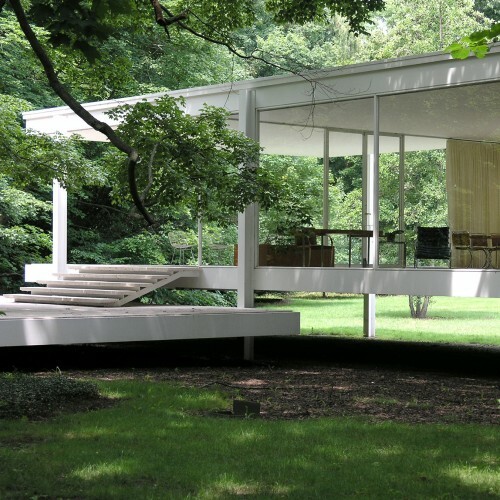 His use of glass and steel enable transparency and allow the buildings to demonstrate a volume of space rather than the traditional structural mass. Their versatile design makes it nearly impossible for onlookers to discern what’s inside. 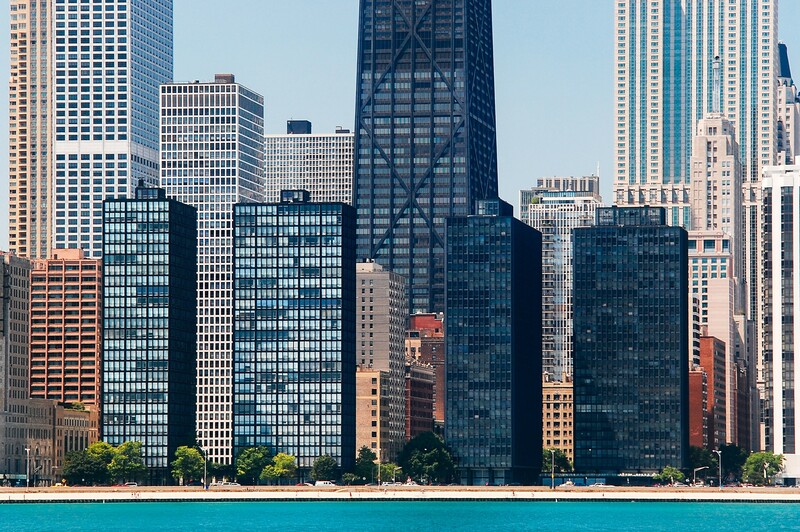 Are they office buildings or residential structures? 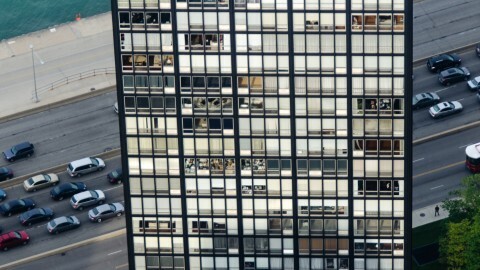 Mies doesn’t include ornamentation to serve as clues. 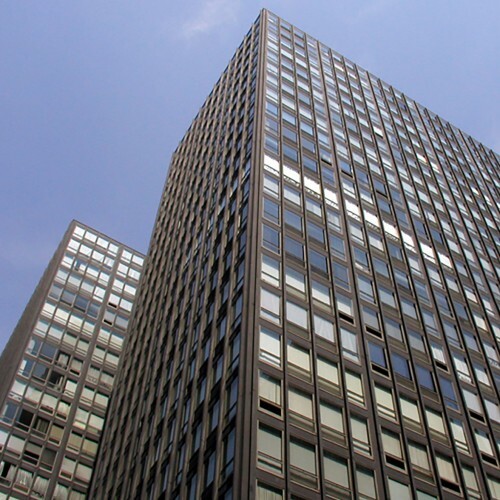 Indicative of his architectural vocabulary, these towers have clean lines and superb proportions. 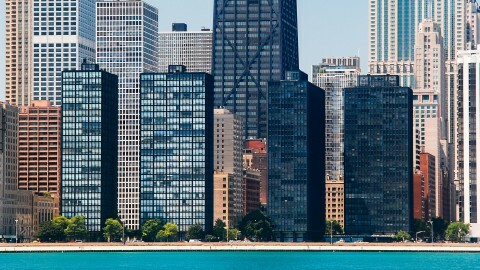 These buildings possess a warmth one would not expect from glass and steel. 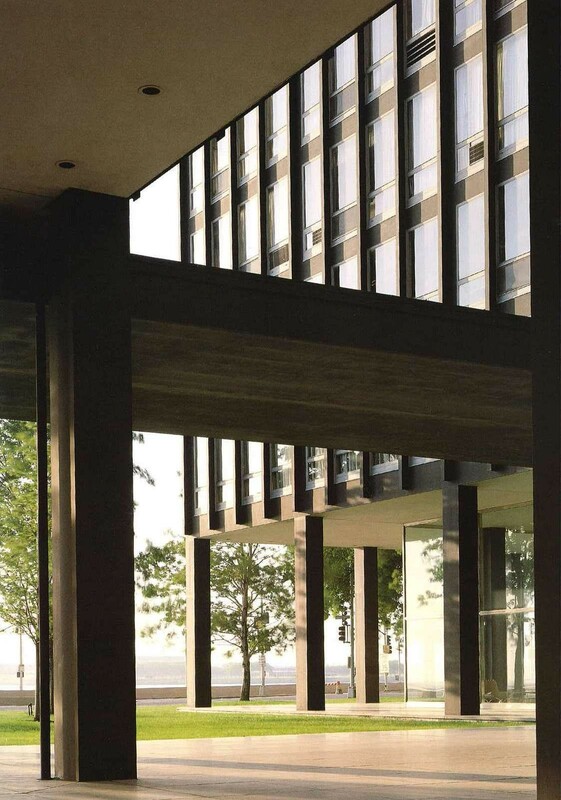 The backlit opaque glass of the first two floors turns the buildings into inviting beacons at night. The canopies float out from the entrances and across the plaza to shelter residents even before they are indoors. The lobbies keep out the heat and the cold, but admit the blue of the lake and the green of the lawn. It’s why I call 860-880 home.